Rano360.com » ADVENTURE TRAVEL NAMIBIA WITH LAND ROVER. ADVENTURE TRAVEL NAMIBIA WITH LAND ROVER. 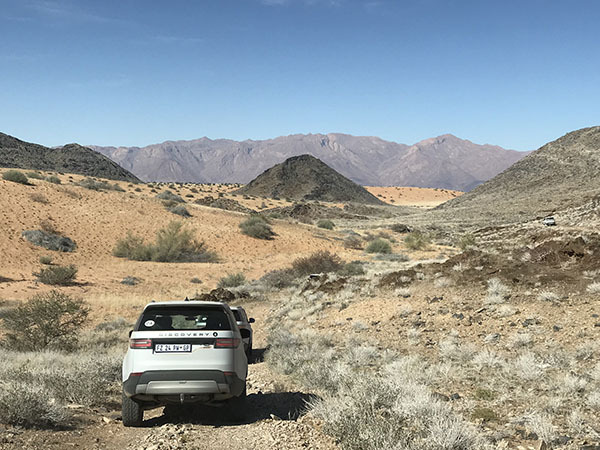 Recently Luqman Hakim bin Abdullah, Sales Manager of Indera Motors Sdn Bhd (Jaguar and Land Rover) was invited to Namibia, South Africa for a hospitality treat. Being a same CI holder as I am, he wasn’t sure if Certificate of Identity Holder could fly to South Africa. Apparently it is possible and he was extra delighted as it will be his first trip to South Africa. 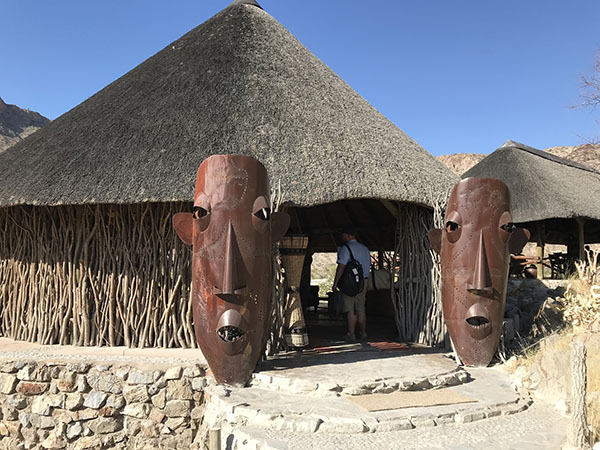 Below is a blog entry of his week trip to Namibia, invited by Land Rover. Enjoy the entry by Luqman Hakim. 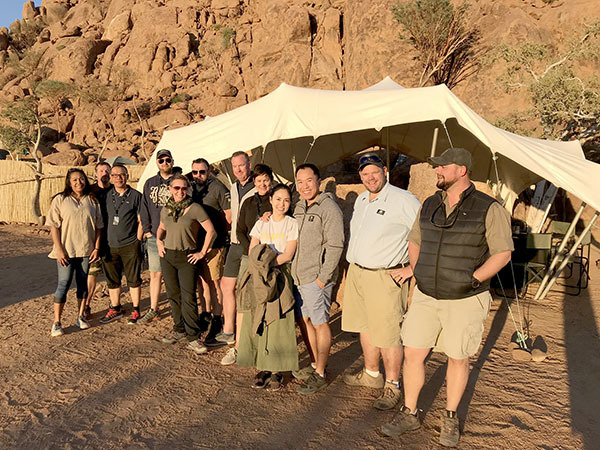 Luqman Hakim bin Abdullah, Sales Manager of Indera Motors Sdn Bhd (3rd from left) with other representatives of Land Rover around the world at Namibia, South Africa. I woke to the gentle tap on my shoulder by a flight attendant asking me to raise my window shade for the landing in Windhoek. There are many negative opinions about venturing to Africa for the first time and I was very nervous myself. What if I were to get lost in the wild and never came back? As someone who was so used to see Africa portrayed in a very negative light in the news and popular culture, it was difficult to not associating myself with preconceptions that were long embedded in my minds. I arrived at the airport in the afternoon and as soon as I made my way out of the arrival hall, I immediately received a warm welcome from a group of local Land Rover representatives. I was then joined by few other representatives from the Asia Pacific Region and we headed straight to our first destination. As we cruised past the dusty roadway, I gazed over the horizon line and I started to think that this place was not that bad, Namibia had its own vibe and feelings, as strange it may sound but I started to feel like home. We finally reached our destination earlier than scheduled. 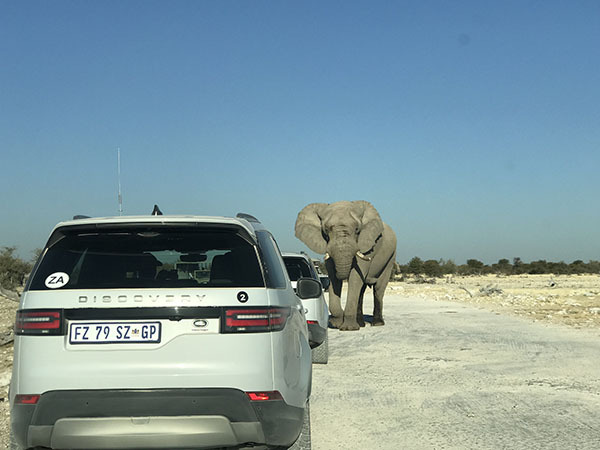 Our facilitator did a quick tour briefing with our expert guide and then we drove to our lodge in the direction of Etosha. Located in its own reserve, we spent the night watching wild animals come for drinking at the waterhole close to the lodge. We spent the rest of the night with introduction session and exchanging stories with fellow explorers. Our first destination was the Etosha National Park. Dubbed as the greatest game reserves in the world and it did not take me long to understand why it was labeled as such. The meaning of Etosha is ‘place of dry water’ the place was just as dry as the name but I was still able to spot several waterholes throughout the journey. 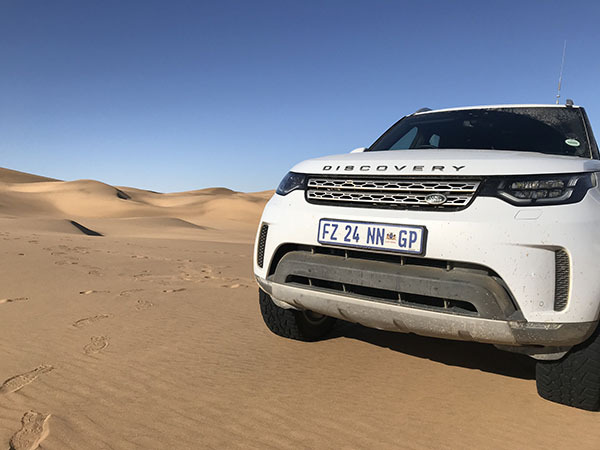 The exquisite landscape of the rocky terrain offered nothing but adventure and the All New Discovery handled it with ease, Great car with a top-notch performance, best SUV in the world for a reason. In the lodge, we experience the magic of a starry African night once again, intensified by the distant roaring of a lion. During the day it was a bit quiet, I was able to see one drinking at a waterhole and another one dozing peacefully under a tree. In the evening everything came to live, we sit nearby the waterholes and watched numerous wild game emerging from the darkness. It was totally terrifying but amazing in the same time! Our journey continued the next day in the Etosha National Park and we drove all the way to western part of the park. The place was a wild retreats for rearing of young animals and the habitants developed without human interference. The setting was surreal, it was like watching a live theatre show with a steady stream of animals and birds constantly arriving to bathe and drink just a few metres away. I could happily sit and watch the wildlife come and go all day long. Rare species such as black rhino and black-faced impala have established themselves in the area. We spent the night in a resort in the western part, vehicle movement at night was prohibited and luckily we managed to be there before sundown. Etosha was a lovely place but we had to leave the park and continue our journey to Khowarib. We headed straight through the plains of Mopane Savannah and the route was extremely dusty. The roadway was loaded with invisible land mines made of solid sharp rocks and the sand was so fine that it raised dust like water splashing from a puddle. It was the most unnatural steering practices but thankfully the reliable Land Rover carried us all safely to our next check point. 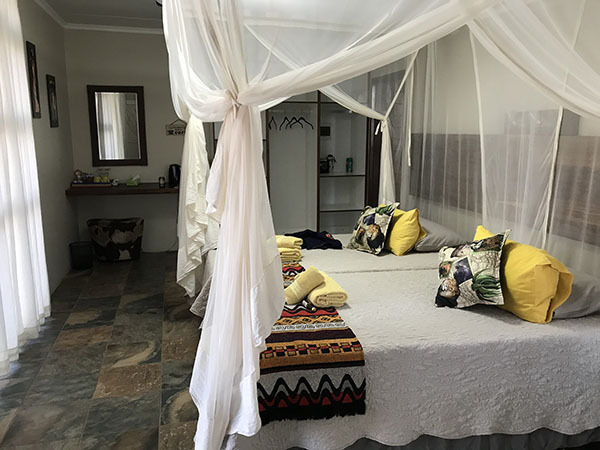 We finally reached the Khowarib Lodge in the afternoon, it was located perfectly on the bank of the Hoanib river surrounded by the great canyon in the northwest of Namibia. 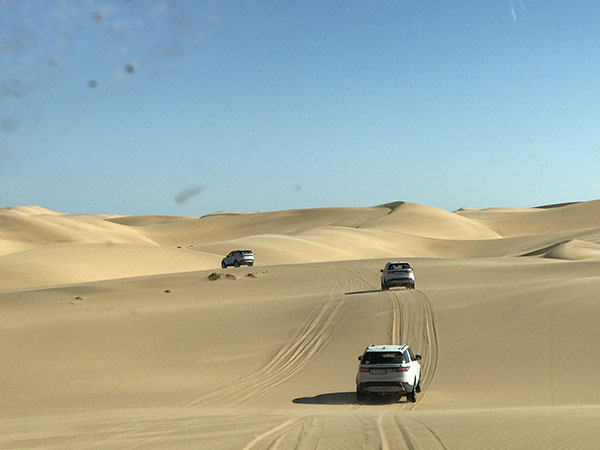 Surrounded by pristine wilderness, the experience in Khowarib was really something else. The lodge set up was a little more rustic than what we were used to thus far and it was quite more primitive than what I expected. The bathroom reminded me to the Flintstone cartoon, it was an open air and the walls are made of stone cobbles which were quite interesting but daring at the same time. The lodge is surrounded by mountains, and tented cabins are designed to absorb cool breeze which makes sleeping very lovely. We continued our journey through the Palmwag concession area. Here we will get another convincing demonstration of the unparalleled off-road mobility of our Land Rovers. The route leaded us though Namibia’s open spectacular plains. We spent the night in a camp with its fabulous sunsets in the middle of Damaraland. We left quite early in the morning because we wanted to reach our next destination in Swakopmund earlier than scheduled. We drove slowly through the beautiful mountain landscape and I managed to spot a herd of zebra and all kind of wild animals but the highlight of the day would be when a huge elephant got too close for comfort and it was a massive relief to see it walked away peacefully a moment later. Suddenly the landscape changed, we were welcomed by the rough coast with long beaches. 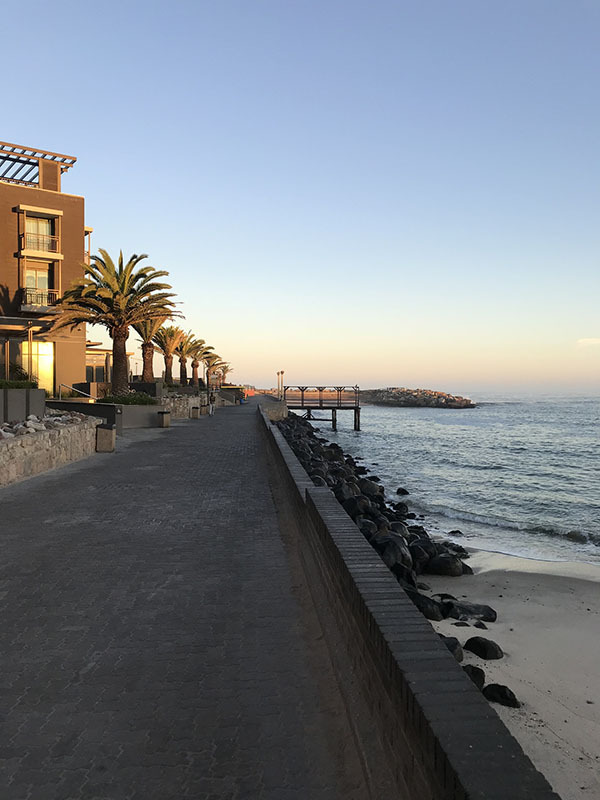 The town of Swakopmund is located between gigantic dunes and the Atlantic Ocean. The landscape somehow looked so familiar, until I was told that the blockbuster movie “MAD MAX” was filmed here. It was first time exploring the desert and I did it in a spectacular fashion. We all summoned our inner child and had an absolute blast. We did stop for a bit to take in the beauty of the dunes before tearing off again. The experienced guide took us through nerve racking bends and turns as I screamed my lungs out through the sand dunes. By the end I was wishing it could have been longer! Riding through the dunes was definitely the best thing I have done for in my whole life. After breakfast, we set off for the Namib Naukluft Park, an area of 5 million hectare and the fourth biggest Park worldwide. Most of the Park is Savanna and desert. We reached our last accommodation nearby Windhoek. In the evening, we came together for a farewell party and to review the time spent in Africa. It was a tearful moment knowing that I might never see these people again and I thanked them for being a part of this unforgettable adventure. Today marked the last day of my journey in Namibia. I got driven around Windhoek which felt like a small city that is itching to explode, with building and construction around every corner. A town where the legacy of the German and South African influences still run deep in architecture and street names. I was looking forward to a dose of the comforts of home and people I had missed but a part of me did not want to leave. The feeling was like some strange combination of wistfulness, anticipation, sadness, happiness and an overwhelming desire to cling to every minute I had left here, it was sad to finally leave. Until this day my dreams are still taking me back to the Namibian landscape that has refuelled and regenerated the me I want to be. Thank you Land Rover for the ultimate self-driving adventure in the wonderful country of Namibia.